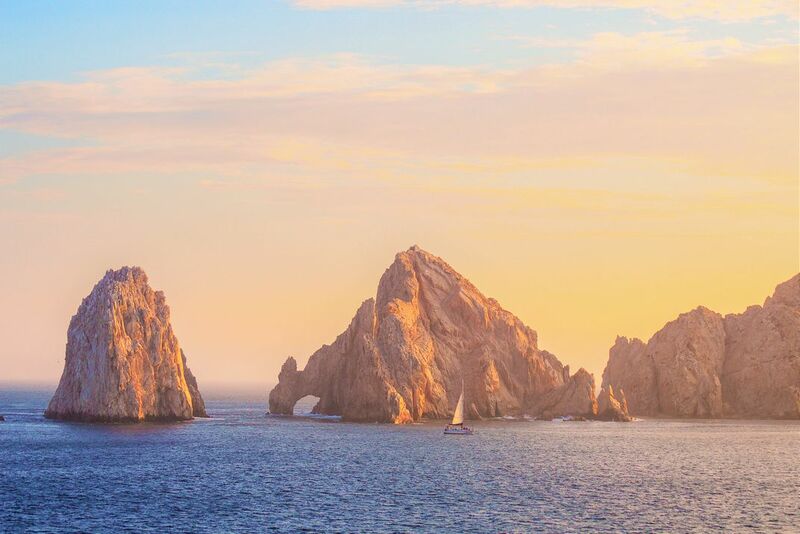 This is an ocean-scape shot of Cabo San Lucas, Mexico. A sailboat is calmly passing the rock formations on a the placid sea. The Arch is highlighted as the sun is setting and colors fill the sky.